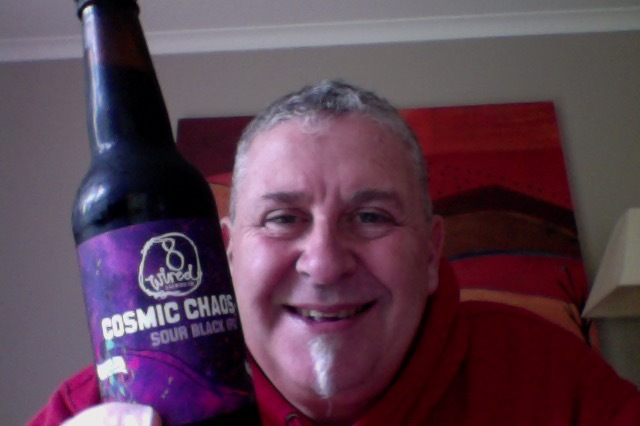 Continuing the GABS(Great Australasian Beer SpecTAPular) pack I’ve come to the Cosmic Chaos – 8 Wired Brewing beer. At last a true local beer. I’ve moved the order around a bit and the next two posts should be the next two beers and I’ve drunk this in the order that I want to enjoy or experience the beers, and for no other reason than I was following the beer order on the packaging, at least for the first 3 of the 6 beers. This is a 330nml bottle of a beer that is 7.5% ABV, and that’s about 225 calories a serve size, this is 2 standard drinks in NZ. Like the universe itself, this brew is dark and tranquil in appearance, but once you delve in, its chaotic intensity really hits. An experimentation in how far 8 Wired can push it, boldly going where few have gone before. It’s an adventure across the palate; sour, hoppy and malty, bringing balance to The Force. That’s quite floral and fruity on opening, and a hint of chocolate in there too. So far…. Dark black pour of a beer with a lovely persistent had that is off white almost brown, and it looks full and thick sitting atop that glass. The aroma appears to have dropped away but if you are patient you can get a green hoppy hint, subtle and distant. Nope. Looks really nice, dark lack with a head that is full firm and looks the part. The lack of apparent aroma was odd. Sourness of course. 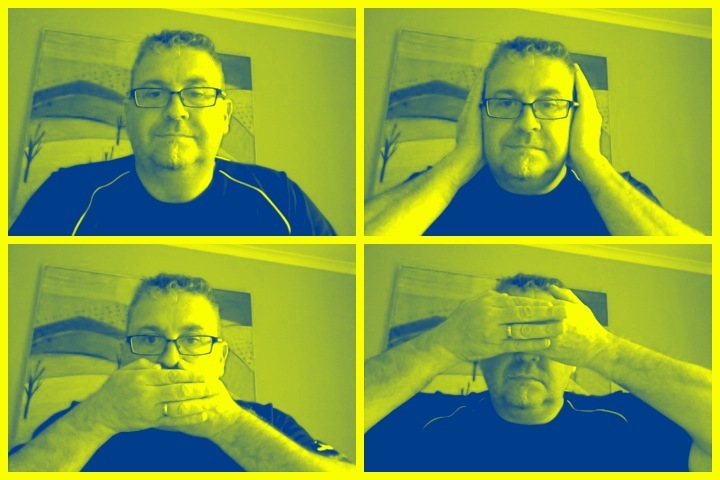 For no reason. I don’t know that anything by way of flavour could be strong enough to get out from under that. I persisted though and there are fruity hints in there, like blackcurrant perhaps, but I’m not that keen to keep looking. Needs something more, like a malt addition to bring some things together. I don’t like it but I understand why it might be clever. Then again I don’t understand this continuance of ‘sours’ and this one goes on the no side of the list. The pdubyah-o-meter rates this as 7 of its things from the thing. It is a ridiculously good looking beer in the glass, despite my averagely average photo, but it is over-riding sour, and that squashes pretty much everything else in the taste department to one side. If only there’d been a lift in this, by way of malt perhaps then I may have got along better. But you can’t like every beer. Am I enjoying it? Not for me this one. Would I share with a friend on a porch and set the world to rights? No, despite it being ridiculously good looking beer it’s a one trick thing, and that trick for me got old ages ago. Laura Phillips “Laurie” Anderson (born June 5, 1947) is an American avant-garde artist, composer, musician and film director. The album is from 1982, and I was old then, but this seems to have aged well, unlike me. A beer style roughly defined as a beer with IPA-level hopping, relatively high alcohol and a distinct toasty dark malt character. Typically lacks the roastiness and body of a strong stout and is hoppier than a strong porter. Expressive dry-hopping is common. Also called India Dark Ale, India Black Ale, Cascadian Dark Ale, Dark IPA, and sometimes India Brown Ale. 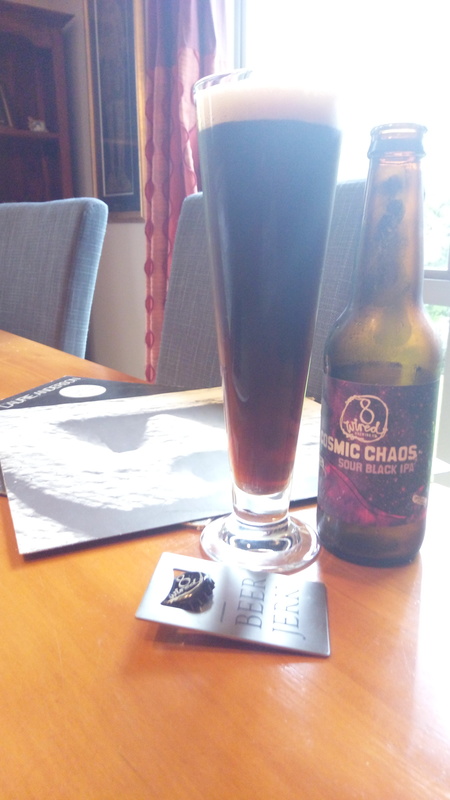 This entry was posted on July 23, 2017 by Philip Walter in 8 Wired, Beer, Beer of New Zealand, Beer Review, Black IPA, Brewed By, Craft Beer, Critic, Vinyl and tagged 8 Wired, 8 Wired Cosmic Chaos, Alcohol by volume, Beer, Beer and Vinyl Music, Cosmic Chaos, craft beer.